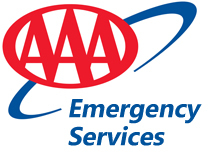 We offer emergency towing throughout the Grainger County, TN and surrounding areas. When you call us for towing services, we will make sure that we can provide service where you are. If you are outside our service area, we will help find a service provider who can assist you.We are conveniently located 15 minutes from Luttrell, Blaine and Rutledge,TN and 16 miles from Bean Station, TN. Let us know where you are, and what kind of vehicle you're driving. Is your car completely disabled? Will the towing service be for a van or other large car or truck? Getting this information upfront helps us provide the proper service more quickly. Automobile or motorcycle accident? Stranded in the middle of no where? We are here for you round the clock! Flat tire? No worries! We can have your flat fixed in no time. We can help you replace your flat with your existing spare tire! Out of gas? We can deliver fuel to your location! When your car battery runs out, the last place you want to be in on the road but when that happens, we are here! Locked your keys in your vehicle? Not a problem. We can safely access your keys without damaging your automobile. You can always count on our crew being polite, honest and efficient! All of our drivers have had a thorough background check and are certified through the American Towing and Recovery Institute. We understand the hassle of breaking down on the side of the road. You can never anticipate when a tire will blow or any kind of pesky inconvenience on your vehicle leaving you stranded. That's why we are here for you! Phifer's Auto Service & Towing offers roadside assistance when you need it most! No matter your situation, we're prepared to assist you! From jump-starts to fuel delivery services and flat tire changes, just give us a call and we'll be on our way!